Smith’s Dock is a collection of 24 three-storey modular townhouses, designed by architects ShedKM and manufactured by SIG Building Systems for renowned urban regeneration developers Urban Splash. Each townhouse is constructed from three single storey timber-framed modules, which are prefabricated and fully fitted out in a controlled factory environment, before being transported to site by road and craned into position, at a rate of up to 8 modules per day. Smith’s Dock is the third development in ShedKM’s ‘hoUSe’ concept, which allows the user to specify their own internal living arrangements, within a light, spacious and energy-efficient structural shell. Having previously worked with SIG Building Systems on the ‘hoUSe’ development at New Islington, Manchester, amongst other prefabricated timber structures, Expedition were able to bring in-depth knowledge and experience of ‘Design for Manufacture and Assembly’ to this project. We provided structural engineering design services covering the global and local design of the entirely timber structures, inter- and intra-module connections and advised on the practicalities of off-site manufacture and on-site installation. 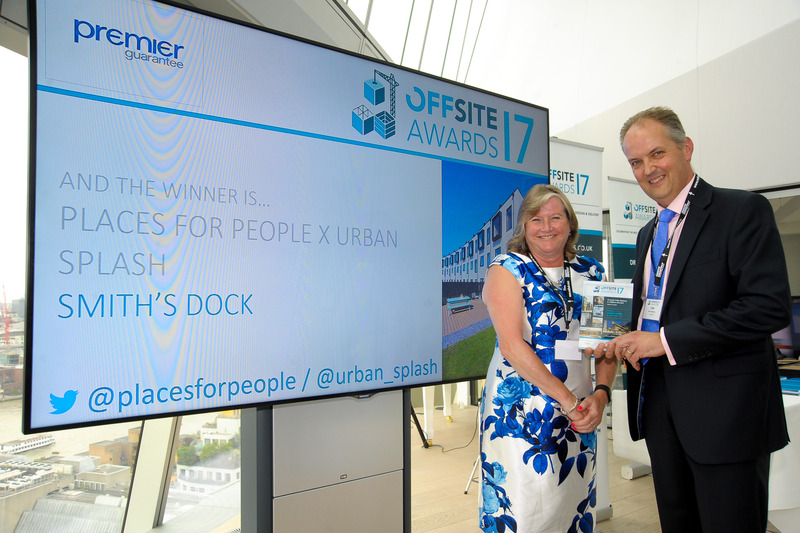 We are pleased to say that Smith’s Dock has won Housing Project of the Year at the Offsite Awards. It has also been shortlisted for a British Homes Award and we look forward to hearing the results in September!